When you need a vehicle that’s big and strong, Chevrolet offers several great options. 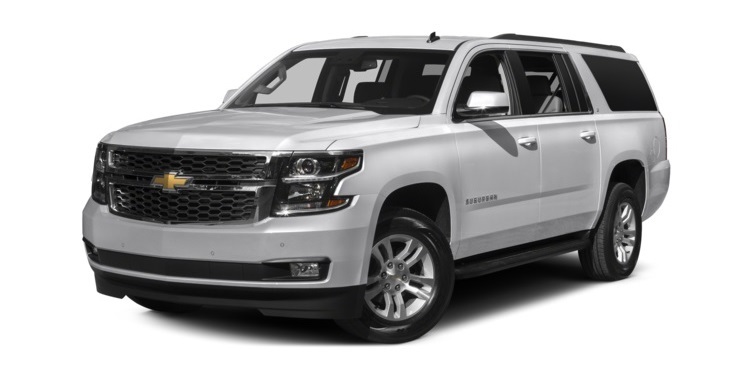 Two of the most popular options are the 2016 Chevrolet Silverado 1500 and the 2016 Chevrolet Suburban. Both models can take on heavy loads, rough terrain, and big jobs. Despite these similarities, these are two very different vehicles with contrasting capabilities. Compare the two head to head before heading out from Bloomingdale for a closer look at Sunrise Chevrolet in Glendale Heights. 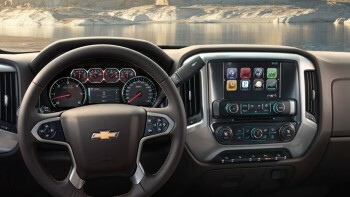 Family-friendly features including tri-zone climate controls and smartphone app compatibility. Both of these models deliver the kind of performance you only find at the upper ends of the spectrum, but there are big differences in the actual ratings. 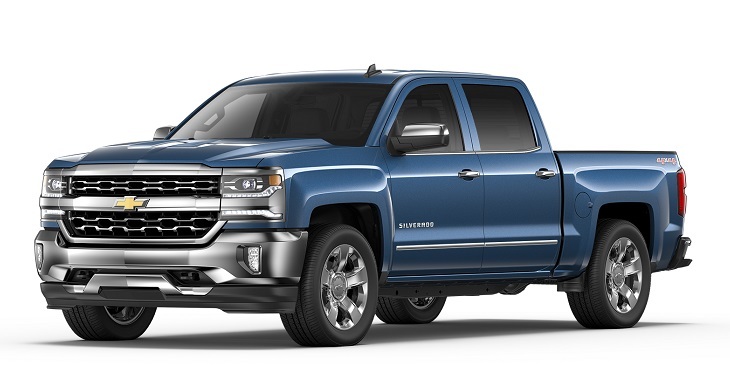 The 2016 Chevrolet Silverado 1500 comes standard with a 4.3L V6 that puts out 285 hp and 305 lb-ft of torque while getting 18 mpg city and 24 mpg highway. Higher-level trims come with a 5.3L V8 that ups the power to 355 hp and 383 lb-ft of torque. Max power for towing and hauling is available from a 6.2L V8 that generates 420 hp and 460 lb-ft of torque. That engine also goes from 0 to 60 mph in only 5.9 seconds. All trims of the 2016 Chevrolet Suburban run the same 5.3L V8 engine with power ratings of 355 hp and 383 lb-ft of torque. Fuel efficiency is rated at an EPA-estimated 16 mpg city and 23 mpg highway, which is impressive for a vehicle of this size. Towing tops out at 8,000 pounds, and two-wheel drive and four-wheel drive configurations are both available, with the options to upgrade off-road performance. This is an area where these two vehicles really separate themselves. Since the 2016 Chevrolet Silverado 1500 is a pickup, it’s less suited for passengers and more suited for cargo, though there are passenger-friendly setups available. The Regular Cab can accommodate three passengers. The Double Cab and Crew Cab both seat six, with the Crew Cab adding full-size rear doors. Bed options range from 5 feet 8 inches on the short end to 8 feet on the long end. The 2016 Chevrolet Silverado is more of a people mover. It comes with standard seating for eight, but with seconds row captain’s chairs that figure drops to seven. You can also opt for a nine-passenger setup by choosing a first-row bench seat. There is 39.3 cubic feet of dedicated cargo space, which is plenty for a large trip. When you need more space, the rear seats easily fold down to create an ample 121.7 cubic feet of room when needed. Since these vehicles cater to different kinds of drivers, they come equipped with different kinds of features. The 2016 Chevrolet Silverado 1500 base trim is ready for work thanks to standard features like bright Xenon headlights, protective vinyl floor covering, and a light for the bed of the truck. Upper level trims add smart technologies like 4G LTE Wi-Fi coverage, wireless phone charging, real-time navigation, and a 110-volt power outlet. 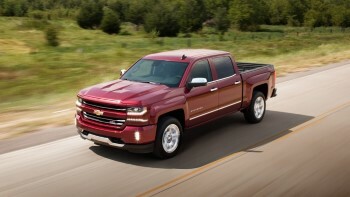 The 2016 Chevrolet Silverado comes with features that cater more to passengers and families. The base trim comes with power adjustable front seats, the OnStar telematics system including mobile internet, an eight-inch touchscreen, HD and satellite radio, and rear privacy glass. Premium comfort and convenience features on higher trims include leather upholstery, heated and ventilated front seats, a sunroof, a rear-seat entertainment system, and a top-of-the-line Bose sound system. There are a couple of important considerations to keep in mind. If you want less seating capacity, more power for towing, and the capability to carry heavy, messy loads, the Silverado 1500 pickup is the better option. 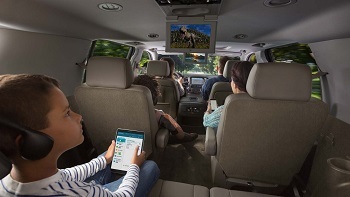 If transporting passengers is more your priority and you would rather carry things in the safety of a cabin, the Chevy Suburban probably makes more sense. The Silverado is built for work first, while the Suburban appeals more to families and people movers. Finally, keep in mind the big difference in price. The entry-level Suburban costs $20,000 more than the comparable Silverado. 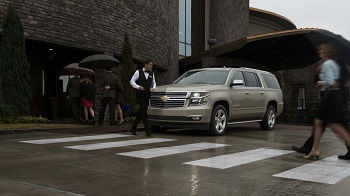 Don’t make up your mind until you have experienced both vehicles in person and worked with a Chevrolet expert. Find the selection and service you want at Sunrise Chevrolet, located at 414 North Avenue in Glendale Heights, IL. To get here from Bloomingdale, take Glen Ellyn Road south and turn right at the Brunswick Zone location. Contact us to schedule a test drive or submit a question.